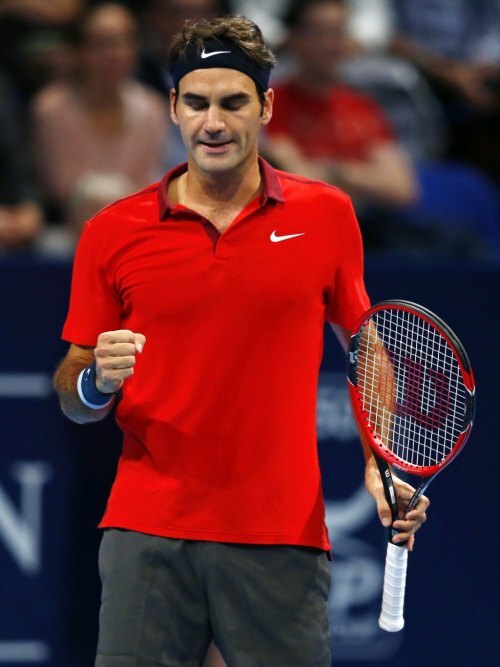 Roger Federer recorded 9th fastest match win of his career as he eased past Gilles Muller 6-2, 6-1 in 46 minutes to reach Round-2 of Swiss Indoors. 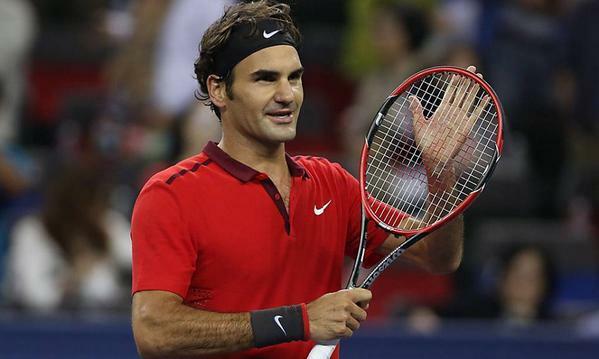 Federer will play Istomin in the 2nd Round on Thursday. 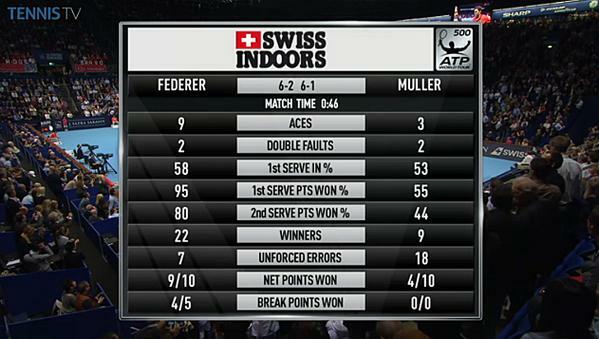 Federer lost the first two points on his 1st service game and that was the only moment in the match where Mullers had an opening on Federer's serve. The Swiss maestro broke Muller's service in the 6th and the 8th game to comfortably win the first set 6-2 in 24 minutes. 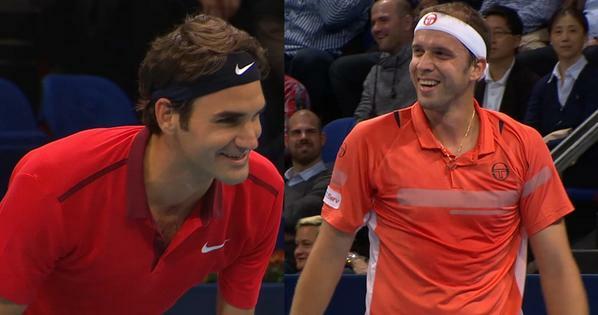 Federer broke Muller's serve in the 2nd & the 4th game. 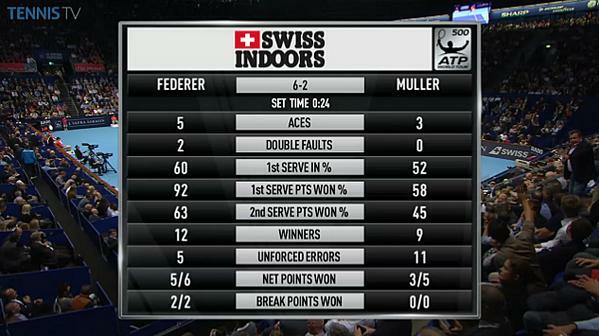 Muller how ever avoided the bagel as he held his service in the 6th game. 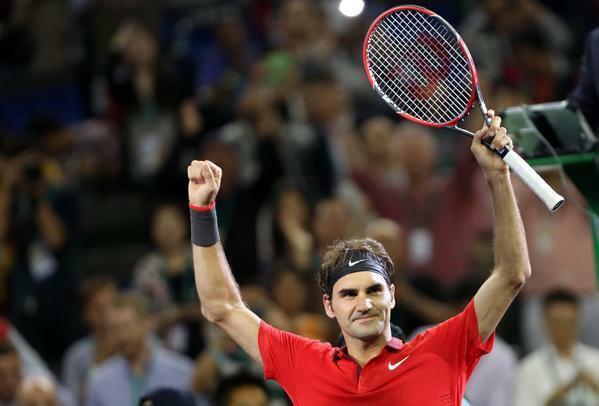 Federer how ever comfortably served out the set and the match in the 7th game winning the set 6-1 in just 22 mins. 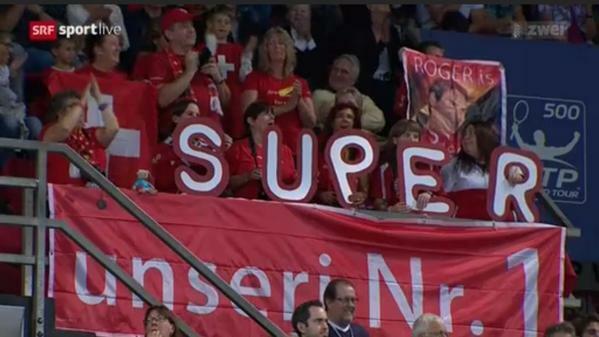 This was Federer's fastest ever match win at Basel. 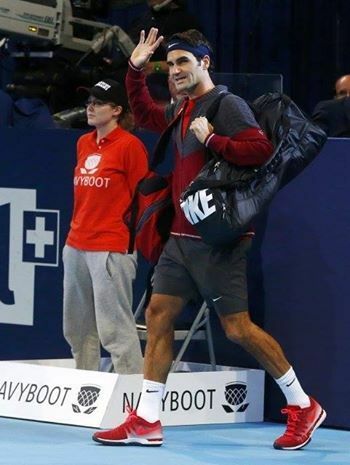 His previous fastest win (in terms of minutes on court) at Swiss Indoors was 52 minutes vs Alexandr Dolgopolov. 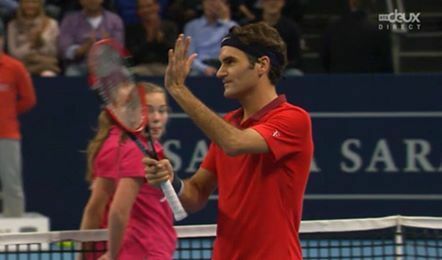 Federer's 52nd match win at Basel, he is now 52-9 in Basel. 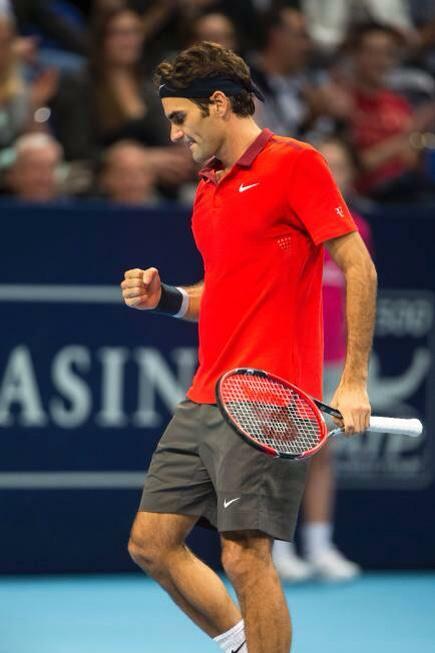 62nd match win of 2014. 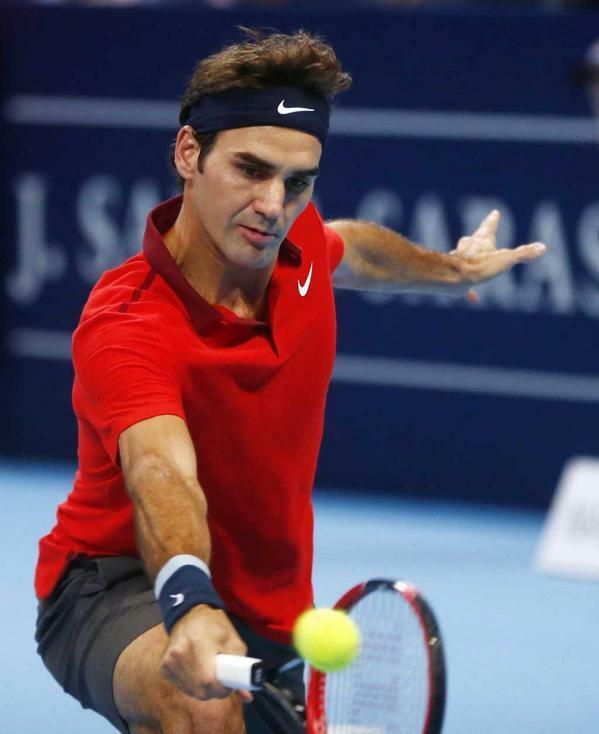 Federer has won the first set in 50 matches at Basel & he's gone on to win 49 of those matches. His only loss after winning the 1st set was against Nalbandian in 2002. 5) 2007 Montreal: 44 mins. 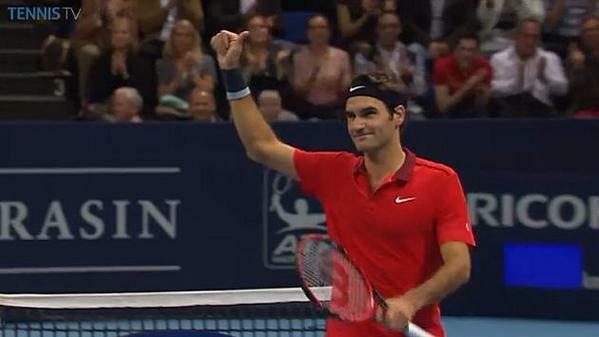 That was a very calm and masterful start to Roger Federer's campaign to lift his 6th title at Basel. In fact the whole match had a relaxed atmosphere about it, at one time both players smiling as Roger chatted with the chair umpire about a confusing line call. Wearing headphones it was clear to hear Roger's emphatic stamp of his foot when he ran across court to chip a volley back over the net. A good start, let's hope he can build upon this in the rounds to come.